A companion to the popular website APracticalWedding.com and A Practical Wedding Planner, A Practical Wedding helps you sort through the basics to create the wedding you want -- without going broke or crazy in the process. After all, what really matters on your wedding day is not so much how it looked as how it felt. In this refreshing guide, expert Meg Keene shares her secrets to planning a beautiful celebration that reflects your taste and your relationship. You'll discover: The real purpose of engagement (hint: it's not just about the planning) How to pinpoint what matters most to you and your partner DIY-ing your wedding: brilliant or crazy? How to communicate decisions to your family Why that color-coded spreadsheet is actually worth it Wedding Zen can be yours. Meg walks you through everything from choosing a venue to writing vows, complete with stories and advice from women who have been in the trenches: the Team Practical brides. So here's to the joyful wedding, the sensible wedding, the unbelievably fun wedding! A Practical Wedding is your complete guide to getting married with grace. 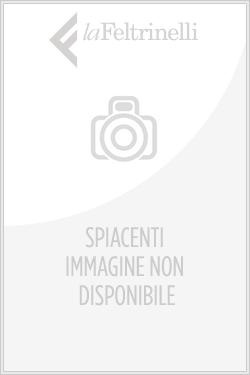 Acquista A Practical Wedding in Epub: dopo aver letto l’ebook A Practical Wedding di Meg Keene ti invitiamo a lasciarci una Recensione qui sotto: sarà utile agli utenti che non abbiano ancora letto questo libro e che vogliano avere delle opinioni altrui. L’opinione su di un libro è molto soggettiva e per questo leggere eventuali recensioni negative non ci dovrà frenare dall’acquisto, anzi dovrà spingerci ad acquistare il libro in fretta per poter dire la nostra ed eventualmente smentire quanto commentato da altri, contribuendo ad arricchire più possibile i commenti e dare sempre più spunti di confronto al pubblico online.